The Concentric Luminance Project, an under bridge architectural lighting installation, was carefully engineered to illuminate Atlantaâ€™s Perimeter Mall. 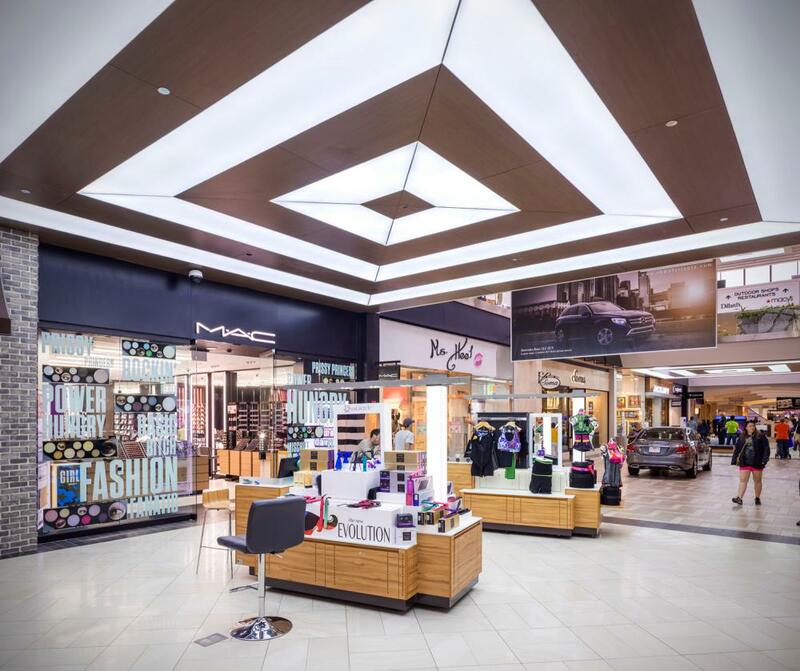 Architectural Design Collaborative and LEDCONN worked to creatively illuminate the mallâ€™s previously poorly-lit walkway bridges & elevate the overall shopping experience. Inspired by the pristine aesthetics of classic garden landscaping design, this project employs a unique geometric pattern as the dominant design element. This concept focuses on simulating the pristine edges and evenly distributed natural light of the inspirational landscape by alternating rectangles made of wood laminate and fabric light boxes. These fabric light boxes were custom made into 4 trapezoids mitered perfectly at the corners & seamlessly conjoined in sections measuring up to 22ft. A white Silicone Edge Graphics fabric combined with a CCT of 6500k provides high brightness in spite of the challenges posed by competing light sources.